What’s the best option for the future of the Bellevue Toll Bridge? We’ll find out in May when a new report will be completed on what the Bellevue Bridge Commission should do with this 69-year-old structure. The historic floods of 2019, however, could prove the value of this long-time river crossing. 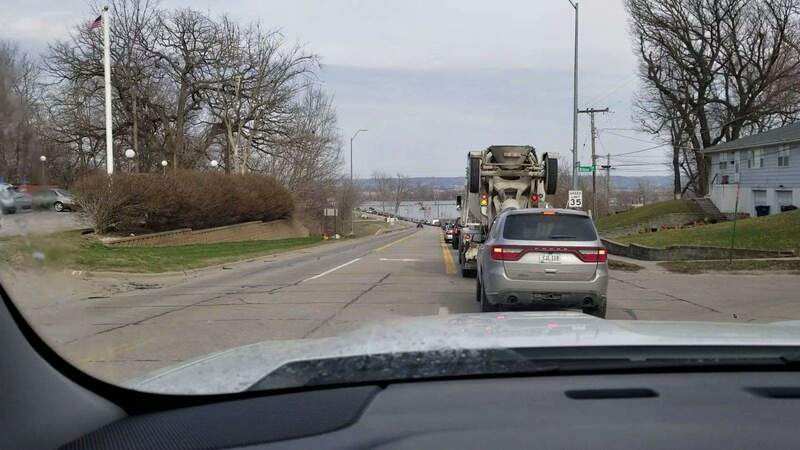 The new Highway 34 bridge which opened four years ago has been closed since mid-March of 2019, but the Bellevue Toll Bridge has remained open for the duration of the flood. 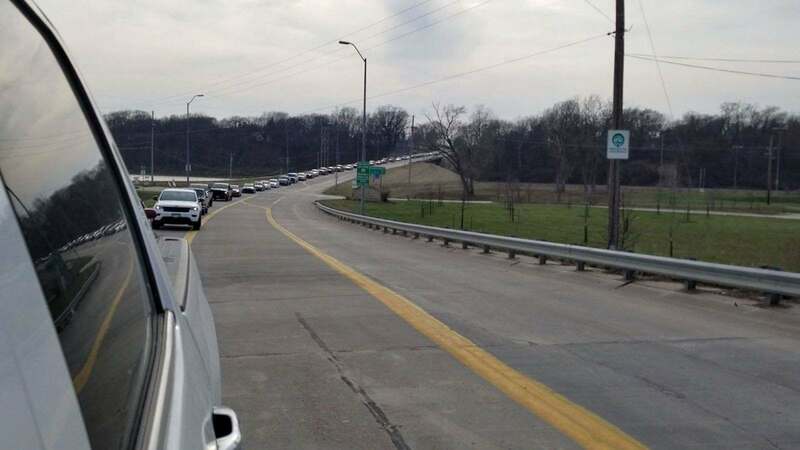 So every day thousands of motorists are once again using the Toll Bridge creating backups like the one you see below. 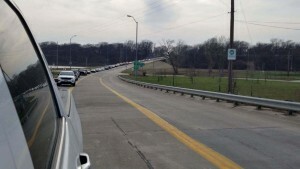 In early April people were waiting as long as 10 minutes to pay their toll and cross during the height of rush hour. But prior to the flood, “traffic patterns had undergone a dramatic shift,” said Court Barber, MAPA Associate Transportation Planner. Before the Highway 34 Bridge opened in 2014, nearly 1.4 million vehicles a year crossed the Bellevue Toll Bridge. In 2015 the number of vehicles using the Bellevue Toll Bridge plummeted to just 750,000. Since then, it’s leveled off to nearly 600,000 vehicles per year. Which is why the Bellevue Bridge Commission and the Omaha-Council Bluffs Metropolitan Area Planning Agency (MAPA) commissioned a study on the bridge. MAPA secured the funding for this special study. MAPA hired the engineering consulting firm of Felsburg, Holt & Ullevig (FHU) to study the best options for the bridge. Originally they had five proposals narrowed it down to three. “These options aren’t set in stone. The best choice may be a combination of these three, or we could decide to do nothing,” said Barber. The Bellevue Bridge Commission and MAPA held an open house in February to get public feedback on the options. Currently, FHU is compiling that information and will issue a draft report on the best option for the Bellevue Toll Bridge in May. Look for updates on that report here once it’s finished and ready to be released.